Looking for a Chiropractor in Saratoga Springs? Dr. Slywka offers treatments for chronic or acute back pain, neck pain, headaches, stiffness, and disability. We also offer preventative maintenance and health and wellness services. If you’re looking for a Saratoga Springs-based chiropractor, then we’re here for you! Our team of professionals want you to receive the best care possible. 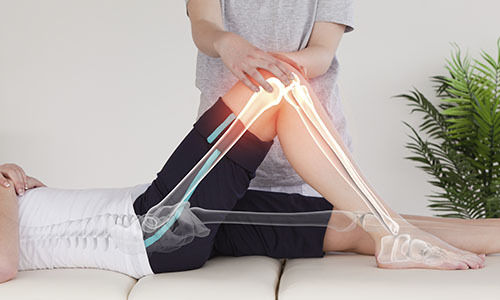 Our goal is to give you the relief from long-term pain that you need. If you have questions or concerns one of our experienced chiropractors is always ready to help! Whether you’re a returning client or you’ve never had an appointment with us before – we want to hear from you! Give us a call or contact us by email using our contact form, and we’ll get back to you right away. You are important to us! Dr. Greg has done wonders for my lower back. I was at the point where I was taking advil throughout the day just to get some relief. Now I have NO pain in my lower back thanks to Dr. Greg. Great experience all the way through! Dr. Greg is a great chiropractor and great guy, and what is even better he gets great results. I have been seeing Dr. Slywka since September 2009 and I am very happy with the care I have been receiving. I saw one chiropractor before Dr. Slywka for a year and there's no comparison. Dr. Slywka is much easier to talk to, be relaxed around, is very thorough in his care, very efficient, explains the care that I need, and has a wonderful bedside manner.